French director Jacques Audiard (A Prophet) counters a disjointed script with fascinating conceptual details, beautiful images and intense moments of raw acting. 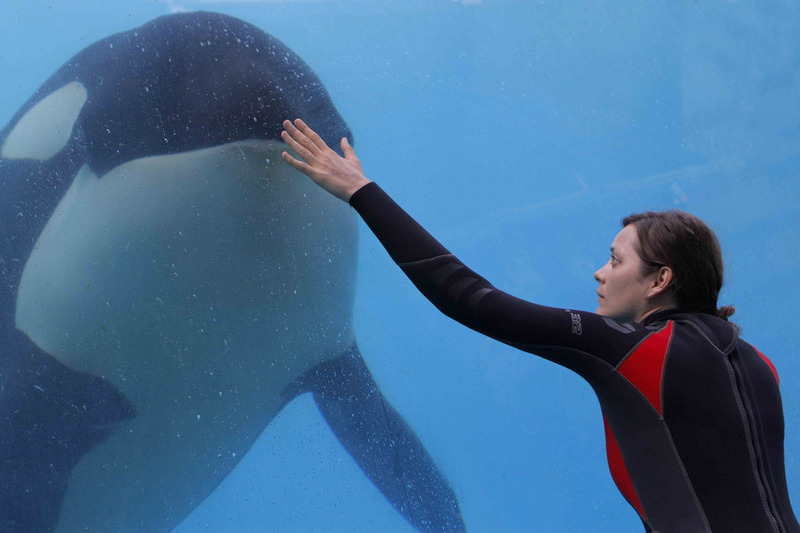 Rust and Bone is equally mesmerising as it is clumsy, but that it is ever touching is a result of some skillful albeit undisciplined filmmaking. The film's story belongs to Ali (Matthias Schoenaerts), a hardened man looking for a place to stay with his young son Sam (Armand Verdure). With little money, they house together in the home of Ali's sister Anna (Corinne Masiero). Finding work as a bouncer at a nightclub, Ali breaks up a fight and escorts Stephanie (Marion Cotillard) home. 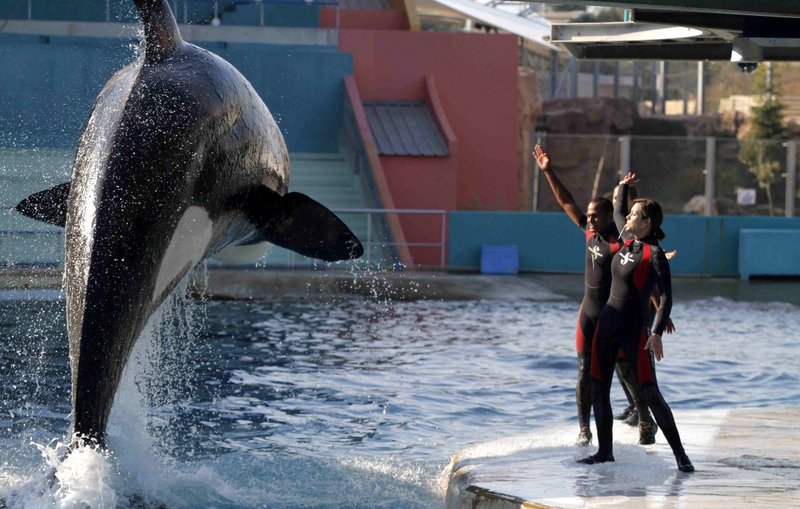 Stephanie is an orca whale trainer at Marineworld but after a freak accident at a show she is hospitalised and wakes up to find that both her legs have been amputated. Depressed and broken, she calls Ali for assistance and comes to realise that with the rest of her body intact she is still capable of living. Meanwhile, to make money Ali participates in sweaty, unofficial kickboxing matches. As with Audiard's previous film A Prophet, a gritty prison crime drama, the director contrasts agonising moments of pain and violence with images that are brimming with meaning and beauty. The tone is consistent but there are bumps in the script, written by the director and Thomas Bidegain. 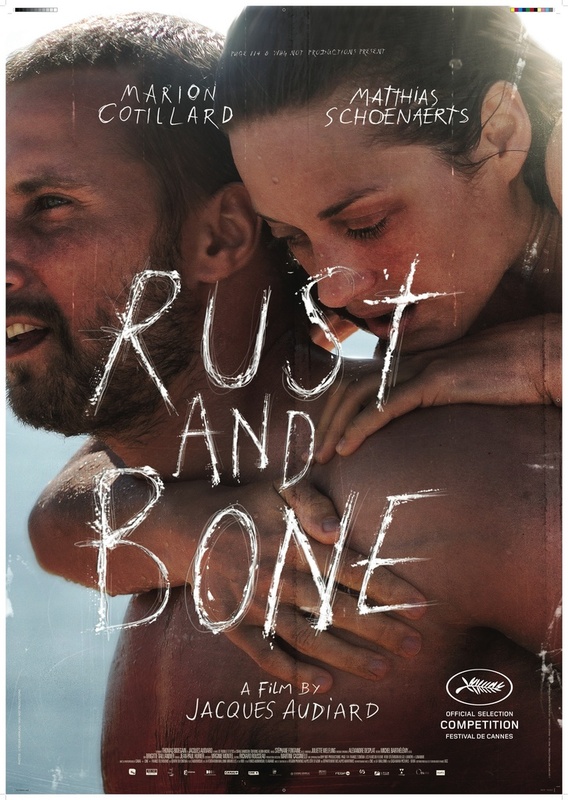 The book they've adapted, "Rust and Bone", is by Canadian author Craig Davidson, and is comprised of a number of short stories. The idea from these stories have been borrowed and developed for a whole new story and the two central characters were also written anew for the screen. Some of the theories of physicality are smart, but the pastiche format of the book is too evident at times. The story structure feels episodic, which leaves powerful images, like Stephanie's reunion with the whale, as singular, isolated moments. The trajectory of the narrative is often stifled as we wait for new plot points to gain punctuality. An underdeveloped subplot surrounding Ali's security employment for example hinges on a sizeable coincidence to drive the story into its final act. The film is better as a critique of the way people fail to appreciate their own bodies, until they reach a catastrophic event that makes them rethink their physicality. The tight framing of the characters from the waist up removes any consciousness of the rest of their bodies. This reflects the lack of self-worth in their lives as they are only concerned by primal instincts of survival, like relying on other people to mentally or physically carry them (a pertinent image), or scavenging for food in this downtrodden economic period. The disunity between belief and the primal thought is shown in two juxtaposing moments. Stephanie is filmed through a long lens, standing alone as the mould for her prosthetic limbs sets. The shot seems isolating but the visibility of her own being reminds her that is she still alive and capable. The film then cuts to shot Ali sitting down at a computer, with only half his body visible, watching brawls on the Internet. It shows the immaturity of his self-preservation in using his body for money and what he calls "fun". In this instance, the combination of theme and content is startlingly articulate. Audiard is less confident with romantic sentimentalism. Both characters begin to inspire each other's belief in their own physical capabilities but it's an uneven theme. Ali convinces Stephanie to sleep with him to see if her body is still functional. We know that he is promiscuous so is he just using her? The question lingers. Less convincing is when Ali claws back into the match when he sees Stephanie walking towards the fighting pitch or when she is hired to become a money handler for the fights, despite seeing the brutality and juvenility. It softens the opportunity for more explosive conflict between the leads. The actors, as naturalistic as they are, are a little reminiscent of the film. There are flashes of brilliance, including scenes of unprecedented emotional strain. But then there are stretches where Cotillard's reserved performance makes you long for more perpetuated tension and drama. It's an affecting and sometimes beautiful film but you will have to wait for its best moments.